Mark's Tickets is the best place to find tickets for Texas Rangers fans. Just check this page for any new events or schedule updates throughout the year. We sell tickets to every Texas Rangers game around the world. We know how passionate Texas Rangers fans can be about baseball, so we make sure to have hundreds of tickets for every game available right up until it starts. For those looking for cheap Texas Rangers tickets, we offer tickets starting at very low prices (many times below face value). We offer tickets in most sections of every venue that you can see Texas Rangers. Simply choose the city or venue that you are interested in below, and you will be able to see all of the available seats. Do not forget that Marks Tickets also specializes in sold out Texas Rangers tickets. No longer will sold out shows prevent you from seeing Texas Rangers. The Texas Rangers are a professional baseball team that plays in the MLB. The Rangers play their home games at Rangers Ballpark in Arlington in Arlington, Texas. With 162 games per year, and 81 being home games, The Texas Rangers are a professional baseball team located in the Dallas-Fort Worth Metroplex, based in Arlington, Texas. The Rangers franchise is currently a member of the Western Division of Major League Baseball's American League. 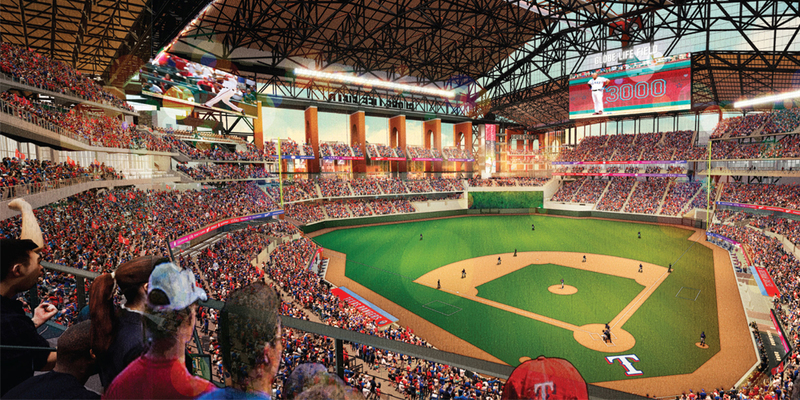 Since 1994, the Rangers have played in Rangers Ballpark in Arlington in Arlington, Texas. The team's name is borrowed from the famous law enforcement agency of the same name. The franchise was established in 1961 as the Washington Senators, an expansion team awarded to Washington, D.C., after the city's first ballclub, the original Washington Senators, moved to Minnesota and became the Twins. After the 1971 season, the new Senators moved to Arlington, Texas, and debuted as the Rangers the following spring. The Texas Rangers Baseball Club has made six appearances in the MLB postseason, five following division championships in 1996, 1998, 1999, 2010, and 2011, and as a Wild Card team in 2012. In 2010, the Rangers advanced past the Division Series for the first time, defeating the Tampa Bay Rays. Texas then brought home their first American League Pennant after beating the New York Yankees in six games. In the 2010 World Series, the franchise's first, the Rangers fell to the San Francisco Giants in five games. Their lone victory made them the first Texas team to win a World Series game, as the Houston Astros were swept in their 2005 World Series appearance. They repeated as American League champions the following year, then lost the 2011 World Series to the St. Louis Cardinals in seven games.